Habaki: Gold single foil habaki. 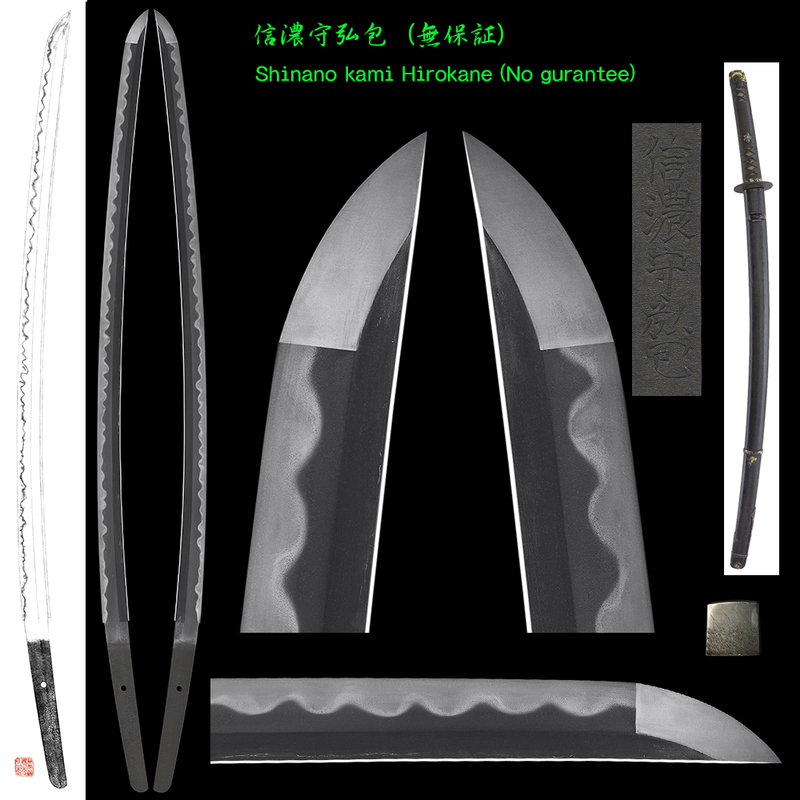 Blade length : 68.8cm or 27.1inches. Sori : 1.8cm or 0.71 inches. Width at the hamachi : 2.96cm or 1.17 inches. Width at the Kissaki : 2.13cm or 0.84 inches. Kasane : 0.62cm or 0.24inches. Era : It can be identified as late Muromachi period. Shape : Wide and thick with sori. Kissaki is rather long ended. Jitetsu :Koitame had well grained with jinie attached. It has beautiful had. There are mix of sharp gonome. Fuchikashira : Iron base with flower design engraved. Price (credit card) : JPY 500,000-. 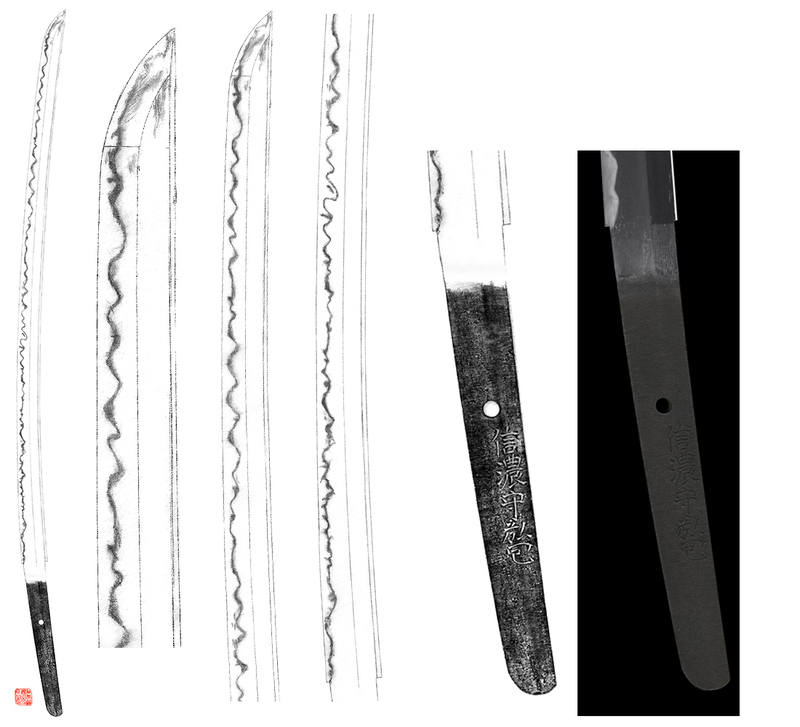 Katana:Dewa Kami Hokyo Minamoto Mitshuhira.